Presence of mirrorless camera lightweight was able to attract the user’s attention. With image quality that is comparable to the mirrorless camera DSLR, able to hook a lot of users. For starters, choose a mirrorless camera with the right specifications. The camera’s specifications are often tailored to the types of users. Sony being one of the best camera brand that is believed to have good quality and crystal clear photo results. 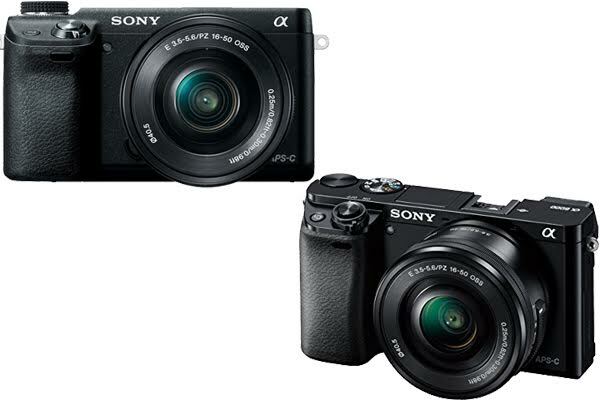 For Sony Nex series 6 and Sony A6000 both equally has its own advantages. How the details of the comparison of both of these cameras will be discussed a bit of detail on this article to help all of you who were looking for a mirrorless camera the best reference. One of the highlights of the NEX 6 is a feature of Wi-Fi. This feature allows users to submit photo/video wirelessly to other devices such as mobile phones or tablets. NEX 6 is indeed more closely resembles the traits of DSLR cameras because it could replace the lens and have sensors APS-C size equivalent to most DSLR cameras on the market. NEX 6 has an electronic viewfinder i.e. high resolution 2.4 million points, the same as owned NEX 7. Electronic viewfinder is quite smooth, crisp and clear in bright light conditions as well as dark. This viewfinder technology is the best at the moment. The other interesting thing from NEX 6 is the hot shoe of the universal. Hot shoe allows us to use an external Flash or other accessories that have a hot shoe universal which is usually produced by a third party. NEX 6 also features an LCD that can be tilted to a maximum of 90 degrees and 45 degrees downward and upward to help frame the photo at a low angle (low angle). Unfortunately this screen can not be rotated sideways and not have the function of the touch screen (touchscreen). When you guys see the Sony Alpha 6000 definitely direct you guys remembered with Sony Nex camera A6000 6 or perhaps already are designed to replace the position of Nex mirrorless cameras in the world 6. A little different from the NEX 6 is the top-side of the camera more than the box-shaped curve/curved and slightly thicker (about 2 mm). The difference there is significant on auto focus. Sony A6000 has a 179-point phase detection to the ends of the pictures, while Nex 6 only covers the central area only. Sony A6000 are much better in terms of image quality especially when light conditions are minimal and a bit dark.